Hi, I’m Lauren. 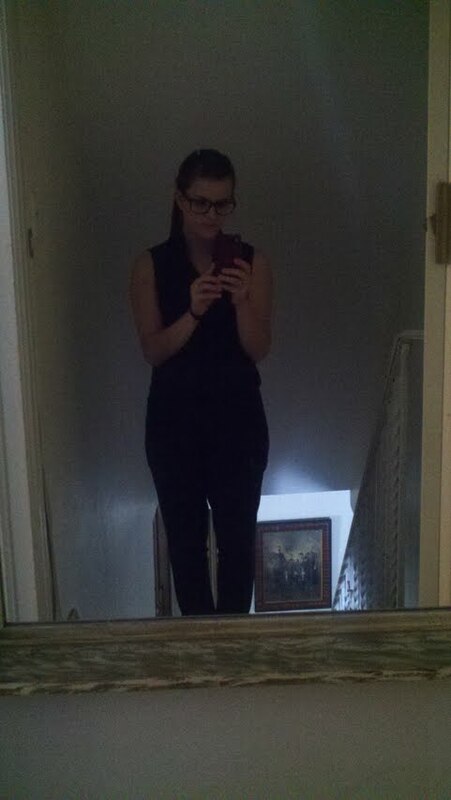 have a crappy cellphone photo of me. Well, anyways, thanks to Caleb I’ve recently found numerous blogs written by funeral directors and people in the death care industry and I am just amazed. I guess I really shouldn’t be because when I started my blog I was just thinking of writing about what I do and death the way I see it because I was sick and tired of people always asking me. So I figured, hey, I’ll write about it and you can read it and that will be that. And like, why wouldn’t other people have those same thoughts? Working in a funeral home definitely makes for interesting dinner conversations. I was driving in the car with my dad today as a matter of fact, and he asked me if I ever shaved off someone’s beard while embalming when I wasn’t supposed to. I said no, thankfully, however today I had to shave off a man’s mustache after he was embalmed. (The funeral director who embalmed him didn’t know if he was supposed to have a mustache, and like I said, it’s easier to get rid of it after than to put it back on later.) I was telling my dad how difficult it was because he was in fact embalmed and all of a sudden my dad started to laugh. He kind of just shook his head and said, “Oh Lauren, if normal people could hear some of our conversations.” But these are the things that people ask me. These are the things I write about. And he’s right of course. My daily life isn’t like everyone else’s. In fact, it’s extremely different. But fellow funeral directors, they get it. I don’t need to explain to them how difficult it is to shave a person who is embalmed because they’ve been there and know. We’re all sort of part of a club. I can make a horrid joke like giving someone their ‘fifteen minutes of flame’ and they would laugh. They understand that they need to laugh, and they need to have a sense of humor dealing with the dead. And that’s awesome. Fellow funeral directors who work in/own funeral homes near you aren’t always seen as colleagues, though. They’re seen as competition. While I was in school I worked part time in this funeral home in Massachusetts and the owner had one of his office ladies look through the paper everyday and mark down what calls his competitors were doing by scanning the daily obituaries. And I guarantee a handful of funeral directors reading this, willing to admit it or not, do the same. Because it’s important to know that out of 100 calls, I’m doing 75 of them while Joe down the corner only has 25. And you know, I think that it is important for small family owned funeral homes. In today’s day an age family run funeral homes are still able to offer you personalized services and something more. Family run funeral homes are willing to go out of the way and make you feel like you’re apart of their family. With such large corporations out there there’s something to be said about that. And if by writing down what all the local funeral homes are doing in terms of business helps them to sleep at night knowing they can still play the game, well go for it. And yes, I do work for a small family operated funeral home and I am gosh darn proud of it. I’m getting off of the point that I’m trying to make. What I’m trying to say is that it doesn’t matter if someone is your competition. You’re still apart of the same club. You can understand each other. After all, you both work the same crazy hours, you both wake up if that phone rings in the middle of the night, you both get strange looks when you enter a nursing home while wearing a suit. It’s the common factor that unites us all. And we all have something to learn from each other. Now, I would like to thank Caleb Wilde for allowing me the chance to get to know another funeral director through his writing. I’d like to thank him for featuring my post on his website allowing other funeral directors the chance to reach out to me. And I’d like to say that if anyone ever thinks that anything I write is up their alley or witty or maybe caused them to laugh a little bit, I would be honored if they’d want to feature one of my posts on their blog/website. All I ask is for the credit for my piece. (I’m a really nice girl you know, all you have to do is ask!) Just let me know what post you want to use and when you’re going to use it. And if you don’t want to do that and would rather talk about death/dying/funeral homes I’m your girl. I’m always up for some good chit chat and learning opportunities. And I’m always down for hearing some new funeral jokes. The one’s that I have are all pretty stale. “Ain’t got no jokes,” but I’m thrilled to be “part of the club”. I love what I do, and I’m proud of all we do collectively to support our communities. As an anthropologist, first; I have respect for the sacred role of caring for the dead. As a funeral director, second; I know the importance of “learning how to do sacred work, in a secular world.” You’re the best, dear one; thank you for your presence in our world. I have enjoyed your writing and would like to comment on your reference to reading the “funeral home score card” and noting what firms do what. Hate to talk like a businessman, but it is called knowing your market and looking for trends and opportunities. We review the paper and track where the death occurred?, if it was a hospice patient, what hospice?, what church?, what what cemetery? and even what social organizations did they belong to. We ask every family that uses us, why they chose us…and we get some very interesting answers. We learn or strengths and weaknesses. That helps us to see if our “colleagues” are maybe doing a better job than us in certain areas of public relations. I got my first true introduction to how “unusual,” the sense of humor of Funeral Directors can be in 1992 at the then, Florida Funeral Director Association annual meeting. I was their keynote speaker the next day and I was invited to “Mash Night,” a cocktail/dinner party the night before. As I approached the otherwise elegant confines of the ballroom at the Baypoint Marriott in Panama City FL, my “something’s not right here” radar went off. After I walked through the mosquito netting and M.A.S.H. tent, I was greeted by several hundred Funeral Directors in varying states of gore, thanks to their skills with make up. They merrily dipped the shrimp into the giant bowl of red cocktail sauce, and placed their cups under the cascading red falls of dyed punch. Maybe I am being a bit too sensitive, (and grumpy that it is a beautiful day and this is the third weekend in a row I had to work) but isn’t cocktail sauce and punch red at “Keynote Speaker Conventions” also? I must travel in the wrong circles because in my 34 years in funeral service, I have never even been invited to a “Gore Theme reception”. RJV – If you know Jim Wylie, ask him about what I described. He put on the meeting while he was the Exec Dir for FFDA. It was labeled as M.A.S.H. Night I believe. It was a bit startling to me, but a fun night.